People hold strong opposing opinions over the consumption of artificial sweeteners (also known as nonnutritive sweeteners, very low calorie sweeteners, or non-calorie sweeteners). Many individuals believe artificial sweeteners are perfectly safe to consume as per the FDA’s recommendations, can be included as part of an overall healthy diet, and are helpful for weight loss. Others label them as “man-made concoctions” which are unhealthy and cause weight gain via an increase in appetite. What are your beliefs regarding artificial sweeteners? The aim of this article is to use the best available evidence to clean up the confusion surrounding the inclusion of sweeteners within the diet so that you can make an educated choice whether to consume them, or not. When it comes to weight loss pretty much everyone agrees that consuming fewer added sugars is a smart move because it reduces your total calorie intake. A diet containing lots of sugar can also lead to health problems such as type-2 diabetes and tooth decay, for this reason the American Heart Association recommends a MAXIMUM daily intake of 150 calories from sugar per day (equivalent to 37.5 grams or 9 teaspoons) for men, and 100 calories from sugar per day (equivalent to 25 grams or 6 teaspoons) for women. To give you an idea of what that looks like there are 139 sugar calories in a 330ml can of regular coke and 116 sugar calories in a 57g snickers bar, so it can be very easy to hit the maximum recommended intake when eating sugary snack foods. 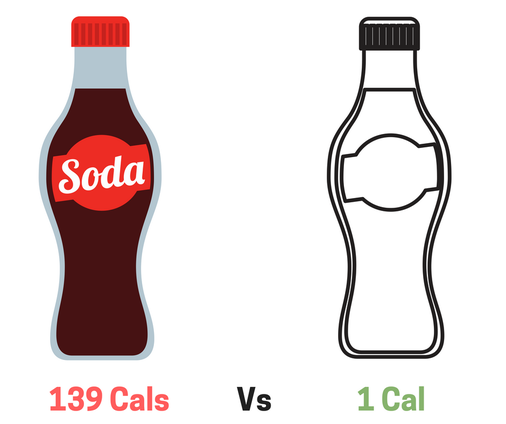 Drinking your calories is generally a bad idea for weight loss/management because liquid calories are far less satiating than whole foods, however making a switch from regular to diet sodas is a step in the right direction. For example, replacing regular coke with diet coke can save you 138 calories per can! This is not me advising you to guzzle down 2-3 liters of diet coke per day, I’m simply saying that if you frequently drink sodas and aren’t yet ready to cut back on them or replace them with water - switching from regular to diet versions can save you a significant amount of calories. Another way to reduce your intake of added sugars is to use stevia, sucralose or other artificial sweeteners in home baking instead of sugar, honey or syrup. Despite being hundreds of times sweeter than table sugar, nonnutritive sweeteners contain very few calories - if any. It is for this reason that replacing table sugar and other calorie rich sweeteners with nonnutritive sweeteners (such as saccharin or aspartame) is a proven way to reduce calorie intake and lose weight. Add energy (calories) to your diet. Examples include sucrose fructose, dextrose, lactose, maltose, honey, corn syrup and concentrated fruit juice sweeteners. Add very little or no energy (calories) to your diet. Examples include saccharin, aspartame, sucralose, Acesulfame Potassium (Ace-K), Stevia and Neotame. There is no physiological need for sugar in the diet, it certainly tastes good and provides us with energy (which is good) but it also lacks micronutrients to support good health - which is obviously bad if these foods make up a large percentage of your diet. That’s not to say you should never eat sugar, adding a little bit of sweetness into your diet is harmless but eating too much can potentially degrade your health whilst expanding your waistline. 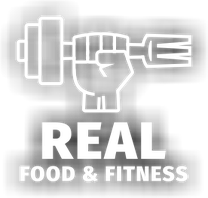 What I’m basically trying to say is, if you eat real foods, such as vegetables, fruits, fish, eggs, meat, poultry, whole-grains and legumes most of the time, you can maintain great health whilst continuing to enjoying some sugary treats now and then. WHAT DOES THE RESEARCH TELL US ABOUT ARTIFICIAL SWEETENERS? Numerous randomised control (RCTs) trials (known as the gold standard method of scientific research) clearly show that swapping caloric sweeteners (e.g., sugar or honey) for lower or no-calorie alternatives (e.g. saccharin or sucralose) leads to a significant reduction in body fat and waist circumference. Positive weight loss results like these are repeatedly seen despite widespread claims that artificial sweeteners increase appetite and subsequent food intake. The evidence shows artificial sweeteners do not disrupt blood sugar, spike appetite or increase body weight. So why have we been led to believe that artificial sweeteners are unhealthy and cause weight gain? The confusion mostly stems from a few animal studies showing sucralose consumption may increase gut inflammation in mice and observational studies which show associations between people consuming artificial sweeteners and increased body weight. Let’s unpick these myths to help you see things more clearly. The idea that artificial sweeteners cause weight gain because overweight individuals tend to consume them is faulty logic. Think about it, the type of people consuming products containing zero and low calorie sweeteners (such as diet sodas) are very likely to be those who are trying to lose weight in the first place, so of course a link can be made between overweight/obesity and the consumption of artificial sweeteners! It’s critical to remember that correlation does not show causation. We could just as easily find an association between overweight/obese individuals and weight loss groups - yet no one is running around saying weight loss groups make people fat! Secondly, research conducted in animals hardly ever translates into humans. Here's a quick example; chocolate is toxic to dogs. Feeding a dog too much chocolate can cause serious harm to him/her. Humans, on the other hand, can consume lots of chocolate without issues. The data from animal studies and observational studies are nowhere near as reliable as randomized control trials (RCTs) in humans and we should always seek to use the best available research when making important decisions about our diet. The best available evidence shows artificial sweeteners to be a safe and useful dietary tool for weight loss and weight maintenance, so if you enjoy drinking sodas or eating the occasional sweet treat, opting for diet or low calorie versions is a reliable way to limit your calorie intake and support weight loss. Whilst artificial sweeteners have not been shown to be unhealthy or causing of weight gain, they are not a replacement for an overall healthy diet. Eating excessive amounts of low-sugar, lower-calorie products can still lead to weight gain if you exceed your daily calorie needs. Furthermore, vitamin and mineral deficiencies could ensue if too many processed, artificially sweetened products are consumed due to the displacement of nutrient dense whole foods like fruits, vegetables, legumes, etc. Adding low/no-calorie sweetened products to your diet is fine so long as you are eating real foods most of the time. In summary, the best current research regarding artificial sweeteners does not support claims that they are detrimental to health or promoting of weight gain. If you currently enjoy sugar sweetened treats such as sugary sodas, switching to low or zero calorie versions containing artificial sweeteners will lower your overall calorie intake and help you to lose weight. Despite a lack of current evidence to suggest that artificial sweeteners are unhealthy, it’s worth keeping an open mind about them. Sweeteners have not been around for a great length of time so it is possible that future research may or may not reveal a slightly different story about them, but until high quality evidence shows us otherwise artificial sweeteners cannot be labelled as unhealthy or causing of weight gain. I used to believe that artificial sweeteners were man-made concoctions that should be avoided at all costs, but since reading the evidence surrounding their consumption my opinion about them has changed – perhaps after reading this article yours will too? Whether you choose to consume artificial sweeteners or not is your personal choice, I simply hope that you can now make that choice a better educated one in light of the current research!